Bikes are legally defined as a vehicle in Florida. The bicyclists is a driver. Bicyclists have to obey the SAME traffic laws as motorists. Bicyclists are required to STOP at signs and red lights, follow the flow of traffic, use lights at night and STOP for people walking. For purposes of reducing high-crash-risk behaviors, we’ve highlighted the most important sections below. You can download all of Florida’s Bike Laws. A bicycle is defined as a vehicle for purposes of the Uniformed Traffic Control Law. 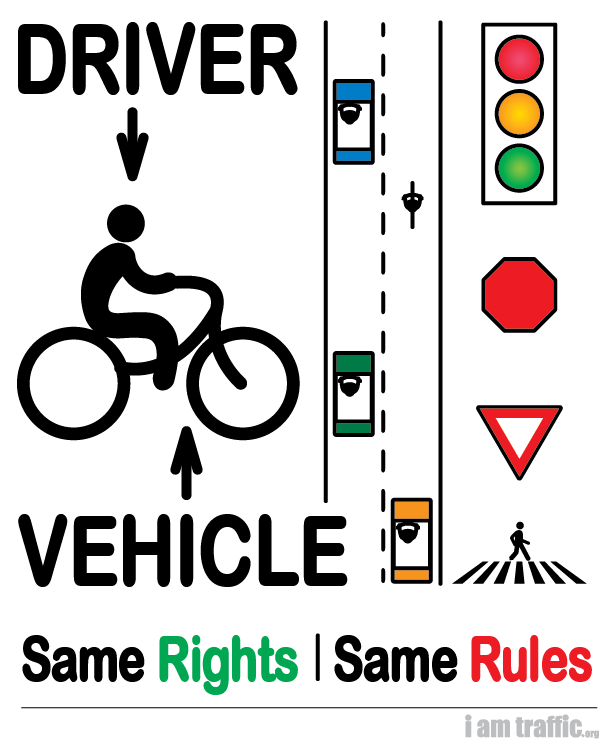 A cyclists has all the rights to the roadway….